Drawing Intensive and Drawing/Painting I art students began drawing out Eng’s sketch for North High’s Les Miserables play in November. A grid was created to breakdown the composition of the sketch. As well as having the composition being cut to sections, which are assigned a numbering system, A1, A2, A3, etc. Each student was given a specific section to work individually, but also to collaborate with the person to the left and right to make sure everything is lining up. 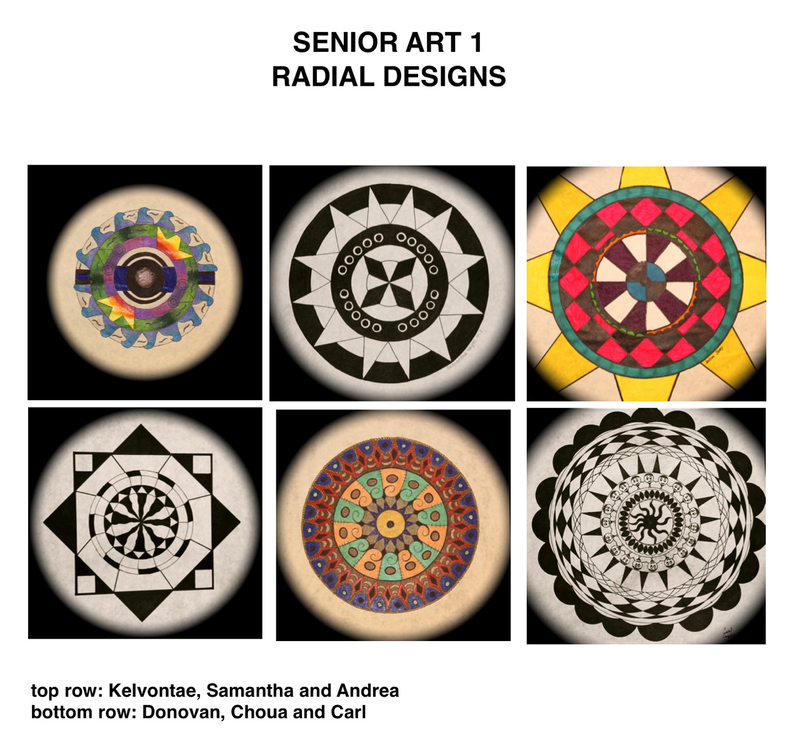 The Senior Art 1 students’s first unit was creating a radial design based on line, positive/negative space, repetition and balance. Each student executed their ideas in their sketchbook, composed a design based on his/her choices and enlarged it on a 12″x12″ sheet of paper. Visit www.nhsart.com to see more student artwork. Art Foundations 1, Senior Art 1 and Art Foundations 3 art students engaged in a 20-minute critique on Radial Designs and Op Art, respectively. This gave them the opportunity to see what their peers created and had the chance to share their ideas with one another. 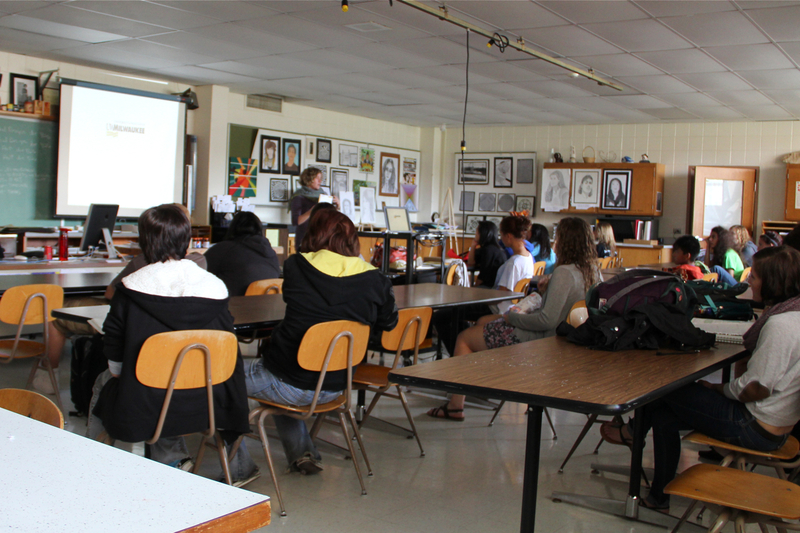 Milwaukee-based sculptor and UW-Milwaukee art professor, Kathryn E. Martin visited the advanced art classes today to talk about what UW-Milwaukee’s Peck School of the Arts offers to incoming freshman. The art students had the opportunity to see what Kathryn’s newest sculptures. With the help of a student focus group, the North High Art Dept is happy to announce its official Mission Statement for 2011-2012. 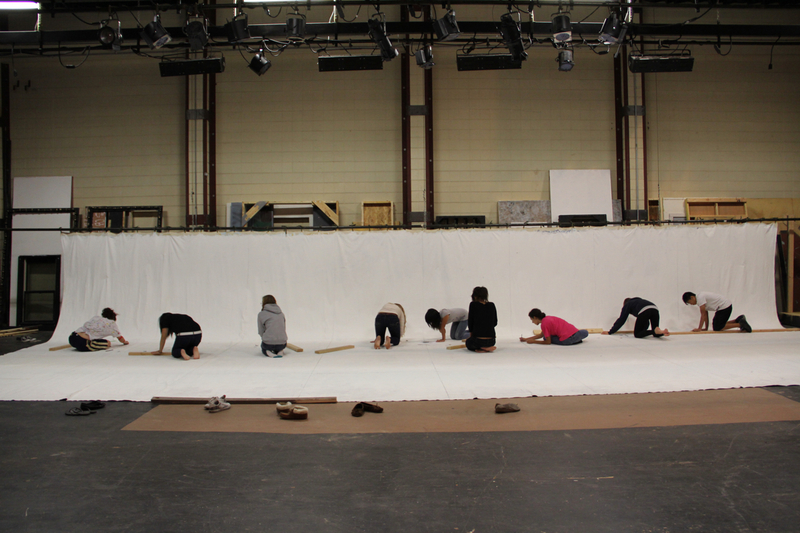 This will provide us with a roadmap to prepare high school art students for tomorrow’s journeys. The mission of the North High Art Department is to create a safe and nurturing learning environment that will stimulate risk-taking, originality and collaboration through the use of 21st Century Skills in both communication and a rigorous studio practice.